Christmas is just around the corner and there’s still time to fit in some last minute shopping for the avid caravan or motorhome owner. There are a range of stocking filler ideas out there as well as a range of gadgets to make the journey on the road that little bit easier or a bit more fun! We’ve searched around to bring you some gift ideas for your loved one this Christmas and here are our top 10 picks. Why not buy a cleaning set to get the caravan sparkling for the new season… It’s no secret that winter use or storage means the ‘van will need some extra special TLC when it’s back on the road. Care-avan have a range of cleaning kits available. 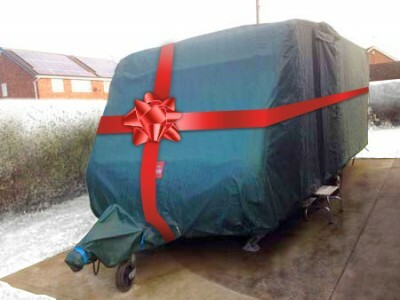 To make sure their prized possession stays in tip top condition why not consider buying a caravan or motorhome cover? It will help to protect it from the elements and anything the stormy weather might throw at it. If you can’t stretch to a full cover there are also hitch covers and all important wheel and tyre covers. Towsure have a range of products available. 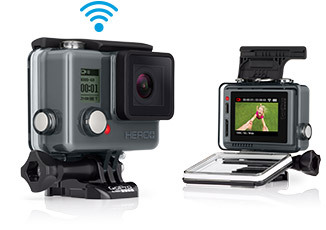 Camping and gadgets pretty much go hand in hand and the GO Pro camera will make sure you catch many an action shot whilst on your latest adventure. They come with a range of accessories, such as head and chest mounts, so you can pretty much capture anything on the go! Personalised mugs are always a popular stocking filler and you can find all kinds of designs to match your loved one’s favourite hobby or character. Campervan gift have a range of fun mugs perfect for the campervan owner. Anyone for coffee? Many will have a love affair with coffee and camping. Check out the Pact coffee bundle for that energy buzz when on the road. You told us a torch was a “must-have” gadget. 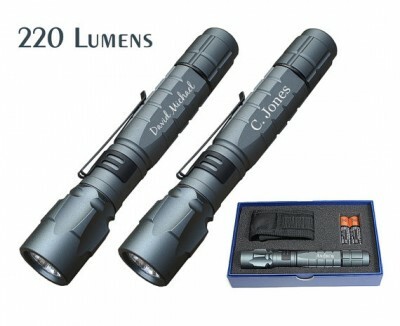 We found these lovely personalised flash lights, complete with presentation box from Etsy. Checking your tyre pressure is really important to prevent a blow out. Why not buy a Tyre Pressure Monitoring System which continuously monitors the pressure and temperature of your tyres – and gives out a warning when things are about to go wrong. 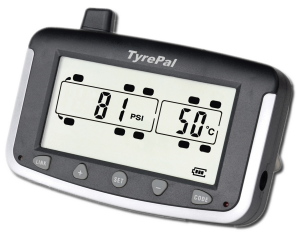 TyrePal has a range of systems for trailers, caravans or motorhomes. A reversing camera designed specifically for a motorhome or a car or caravan could help keep those knocks and scrapes to a minimum. Trailer Vision has a range of wireless camera systems for leisure vehicle use. Christmas themed decorations are a must for the caravan lover. We adore these from Paperchase. Barbecuing was one of your favourite cook ups during one of our recent surveys. And Cadac Carri Chef seems to be a popular barbecue for campers. 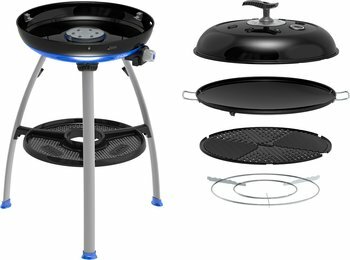 It has a number of different cooking features, perfect for grills, stews and more. See Cadac’s range of products here. If you’ve got any last minute Christmas gift ideas then please share in the comments box below.